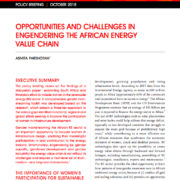 This policy briefing draws on the findings of a discussion paper examining South Africa and Rwanda’s efforts to include women in the renewable energy (RE) sector. 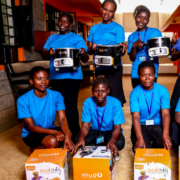 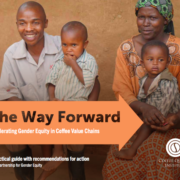 The emerging awareness of the role gender plays in coffee-producing communities and households and of the significant challenges faced by women presents an opportunity. 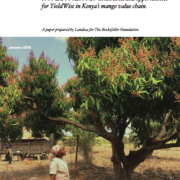 This report identifies what is known about this opportunity and offers recommendations on how the industry can move into action while continuing to deepen understanding.